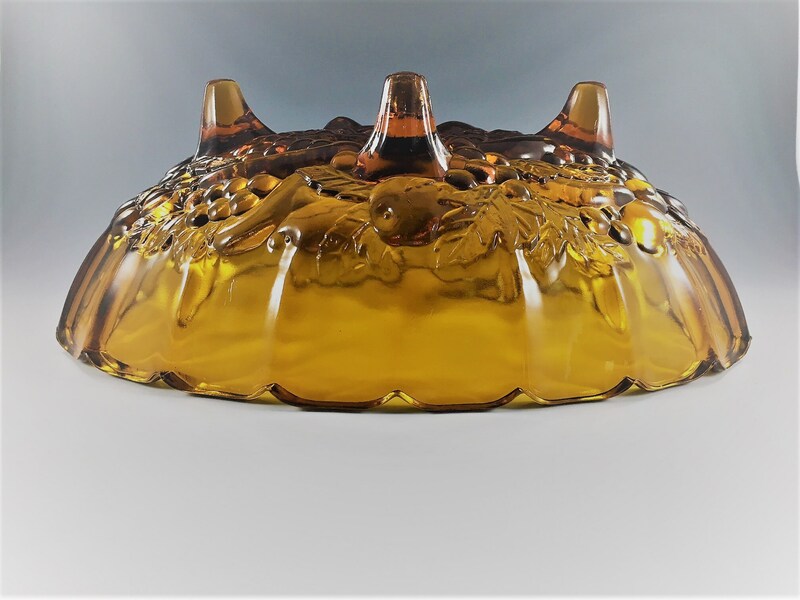 Featured is a beautiful amber centerpiece or fruit bowl from Indiana Glass. 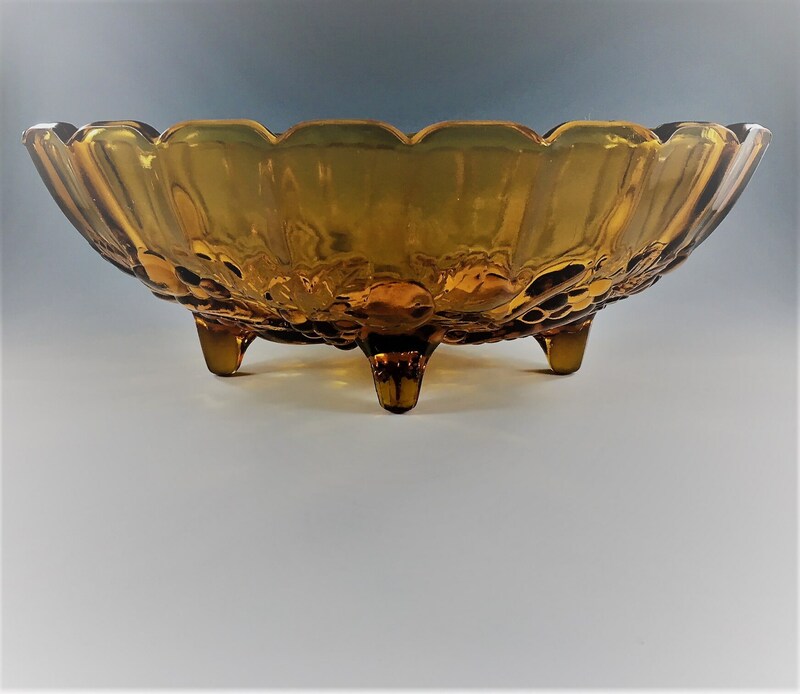 This vintage piece measures about 12 inches long, about 8 3/4 inches wide, and about 4 1/4 inches tall. This classic piece would be a great addition to your holiday table. 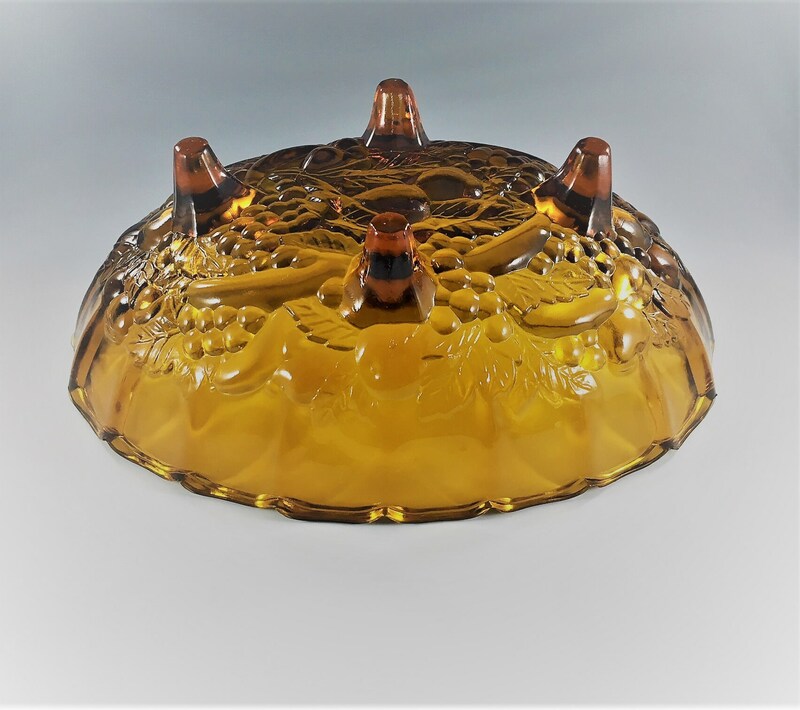 It's rich amber color is perfect for this time of year and complements many modern decors. 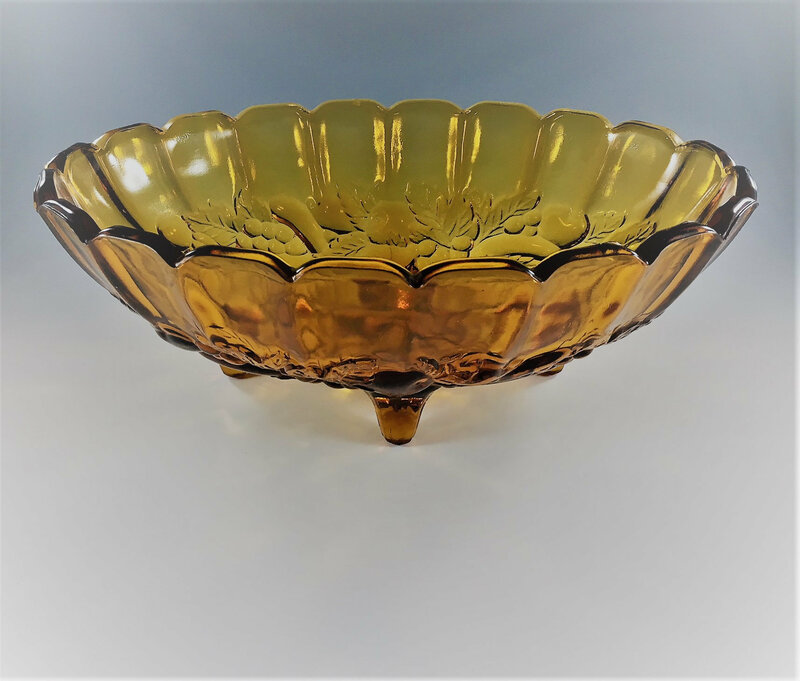 The bowl is in excellent condition, free from any chips or cracks. It has a couple fleabites around the rim from decades of use.